There are some alternative health practitioners and popular nutrition sources that suggest taking enzymes can help relieve a variety of symptoms and help prevent or treat a number of disease processes. In fact, however, true enzyme deficiencies are rare, and most enzyme supplements neither help nor hurt you. In some cases, though, you might react badly to an enzyme. Enzymes are proteins that help to regulate the chemical reactions that take place in the body, ensuring that your cells don't waste energy by running needless or competing reactions. They also speed reactions up. There are many different kinds of enzymes that your cells depend upon: Some are digestive, and are secreted by the cells of the digestive tract and accessory organs. Others participate in reactions inside the body cells, such as those that burn nutrient molecules for energy. In most cases, you can't benefit from taking enzyme supplements. True enzyme deficiencies are rare, though lactose intolerance is a notable exception. If you're lactose-intolerant, you're deficient in the enzyme lactase, and benefit from lactase supplements. This condition aside, however, you're highly unlikely to have a true digestive enzyme deficiency, meaning that you won't benefit from digestive enzyme supplements. Extra digestive enzymes won't do anything for you if you're not deficient, and there's no evidence that you can take enzyme supplements for deficiencies in non-digestive enzymes; furthermore, such deficiencies are quite rare. While taking several different enzymes probably won't help you, it's not likely to hurt you, either. This is because your stomach breaks down most enzymes, as they're quite acid-sensitive, explain Drs. Reginald Garrett and Charles Grisham in their book, "Biochemistry." Because enzymes are proteins, however, it's possible to be allergic to them. 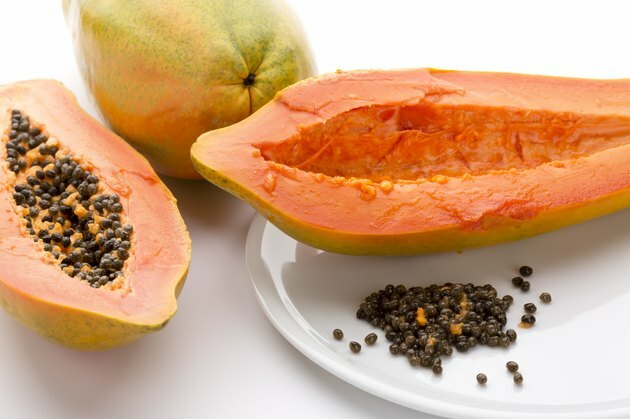 In a 1979 article published in "The Lancet," M. Flindt reports cases of patient allergies to papain, which is papaya enzyme. The more enzymes you take, the more likely you are to encounter one to which you'll react. Another concern with regard to taking many different enzymes is that they're not pharmaceuticals, so they're not subject to the same rigorous safety standards to which drugs are held by the FDA. Per the Dietary Supplement Health and Education Act of 1994, dietary supplements -- including enzymes -- needn't be proved safe or effective before they're marketed to the public. If you take many different enzymes, you increase the likelihood that you'll encounter one capable of causing an adverse reaction, or one that is contaminated with a reaction-inducing substance.